“Steel will never be used up”—this is the core principle of the life cycle assessment (LCA) of products and materials. For steel, approaching infinity makes sense and is desirable. Thanks to its multi-recycling capability, it can be fed back into the material cycle again and again. "Steel is constantly being recycled to produce new steel products. 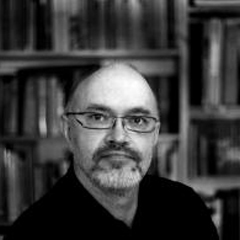 A life cycle assessment illustrates its clear advantages over other materials." Steel products are durable. They can be reused and repaired, further extending their service life. When a product has outlived its use, the cycle is closed by recycling. 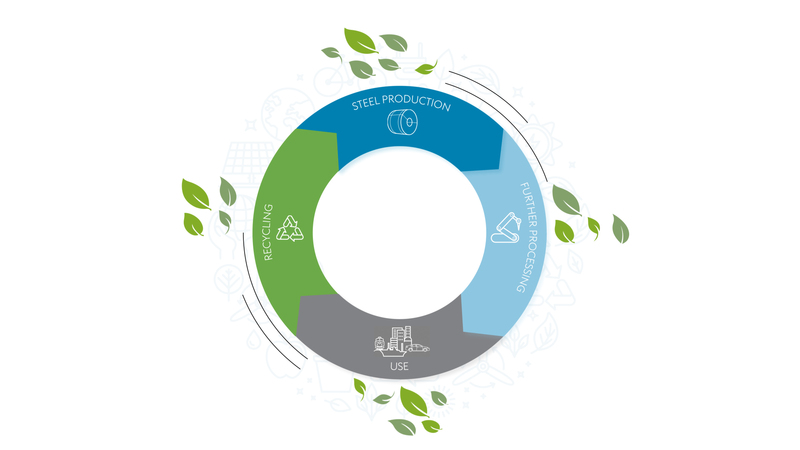 Consequently, steel meets all the requirements of advanced materials in a future circular economy. 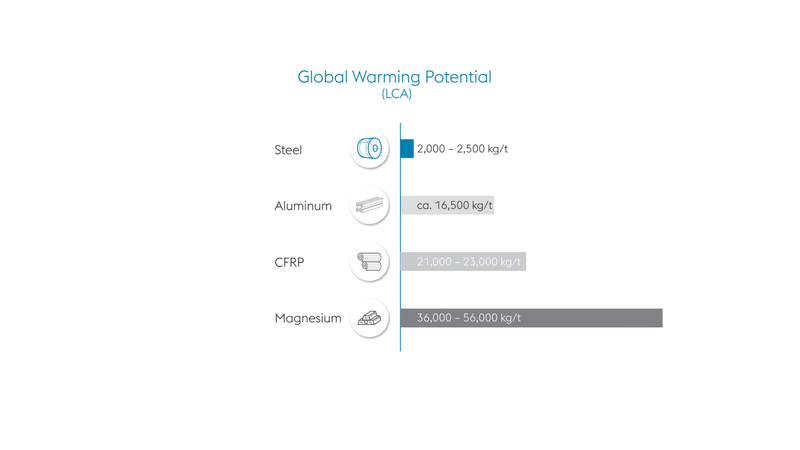 A life cycle assessment (LCA) shows, for example, that the global warming potential in production is significantly higher for competing materials than for steel. From a holistic perspective, other materials are finding it very difficult to counteract these disadvantages, even during the use phase. Increased environmental awareness along the entire supply and value chain, and intensified political initiatives and measures are also having an impact on voestalpine customers. The market is increasingly demanding to know the environmental effects of products and pre-materials. This is because data on the materials used is also included in life cycle assessments. The main goal of the Steel Life project is to communicate the advantage of steel from a voestalpine perspective. The initial focus was on the Steel Division, and it is now gradually being rolled out in the other voestalpine Group divisions. In addition to the life cycle aspects of steel and voestalpine products, environmental aspects such as high energy efficiency are emphasized. In the past few years, for example, energy costs in the Steel Division’s crude steel production have been reduced by a further 15%. Steel Life clearly highlights these advantages. "If we want to pass on a competitive advantage, such as our high energy efficiency, to customers, the salespeople have to be able to show the environmental benefit." Steel Life helps voestalpine salespeople present our environmental and life cycle benefits. Life cycle assessment (LCA) is a methodological tool to systematically determine the environmental impact of products. It covers all phases of a product’s life cycle, from raw material extraction to production and use to its end of life (e.g. recycling).